Heat oven to 350°F. Bake cookies as directed on package. Cool completely. 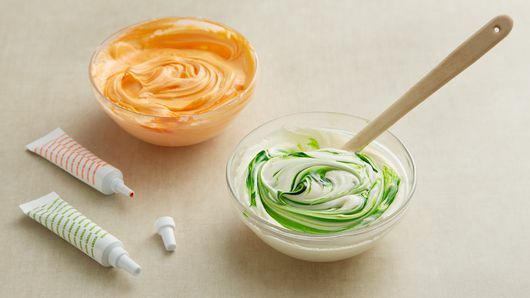 Separate frosting into 2 small bowls; add food colors to make desired neon orange and neon green colors. Spoon colored frostings into decorating bags fitted with flat basket weave tip #45. Squeeze bag to pipe frosting in crisscross pattern over cookies to look like mummy bandages. Attach candy eyes. Let stand until set, about 20 minutes. 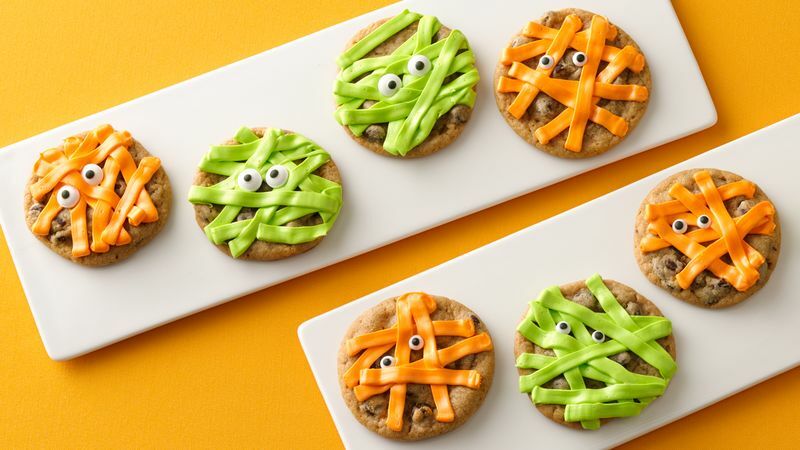 Be creative with any color you choose to decorate your mummies. If you don't have food color on hand, use vanilla or chocolate frosting. Don't have candy eyes? Use miniature candy-coated chocolate candies instead. Don't have decorating tips or bags at home? 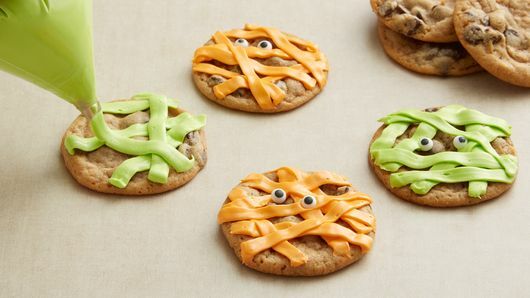 Instead, spoon frosting into a resealable food-storage plastic bag, and cut about 1/4 inch off corner of bag to pipe mummy bandages onto the cookies.